You must have heard about the non-surgical nose reshaping but do you really know what these alternative procedures are? Obviously these procedures do not involve any type of intensive surgical method that frightens a lot of people. There are different methods and one such method involves injecting dermal filler into the face or areas around the nose to make a soothing line from base to tip which changes the overall shape of your nose. Non surgical nose job procedure is ideal for those who are although happy about the size of the nose but got teased sometimes for its bumpy shape. The dermal filler procedure can straighten excess curvature; for instance in a hook shaped or curved nose or depressed or plump out areas which could be due to an accident or natural. For an upturned appearance, a tip projection can also be carried out using dermal filler non-surgical procedure. 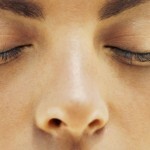 The outcome of the procedure would be symmetrical and well defined nasal contours. The procedure is famous among the general public as ten minute nose job. The procedure finishes in less than half hour—a local anaesthetic cream is applied 20 minutes before. It’s a non surgical procedure thus it is painless and no dramatic results is seen as aftereffects. However, there are chances of loosening of cartilage in the nose and scar formation after the expensive rhinoplasty nose surgery. 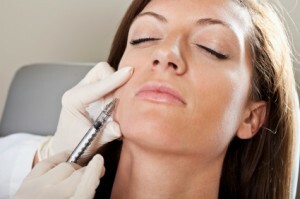 The effect of the dermal fillers lasts up to one year and in some cases two to three years. Why a Non Surgical Nose Job? 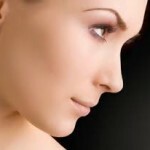 Your nose is the most significant feature of your face; it can affect your overall facial aesthetics. According to an old belief, nasal tip and nasal contours strongly define the character of the nose and your personality too, which is the reason why so many people considered surgical reduction or alteration of the tip of the nose in the past. 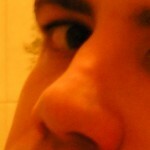 However, rhinoplasty is becoming less desirable due to the complications, long recovery time and risk involved. The modern society has changed a lot. Now people like to appear more natural, with slight alterations and un-operated look. Dermal filler procedure is non invasive and safe alternative to nasal surgery. It can change the shape of your nose if you are unhappy with it, or have depression or asymmetry or an unattractive bump. The procedure is ideal for those recently met with an accident and which has caused deformity or you had a nasal surgery and the results were not quite satisfactory. First the doctor will discuss with you about your ideals and expectations then he or she will examine your nasal profile in relation to your facial structure. During the procedure local anaesthesia will be applied around the nasal surface for a numbing effect. The dermal fillers mixed with anaesthetic effect are then injected into the predefined areas of the nose. The procedure is simple and takes hardly 10 minutes.